The Astra 2E, Astra 2F and Astra 2G satellites are in service at 28.2° East, all the main PSB channels are available on these three satellites, using the UK spotbeam. What will all these changes entail for those currently viewing TV via Sky or Freesat? If you live within the intended reception area of the new satellites (the British Isles), then your viewing will not be affected and you will continue to receive all the services you currently have. 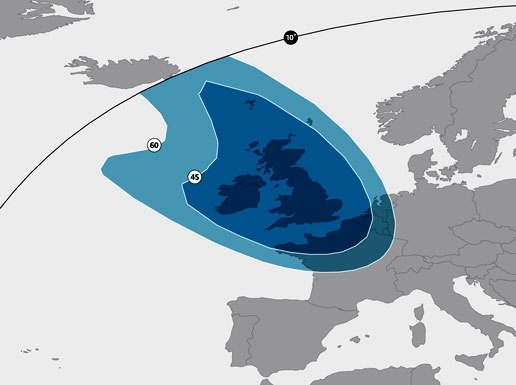 Viewers outside the British Isles in mainland Europe may have to upgrade their dish to receive the Astra 2E and Astra 2F satellites. How have these changes affected viewers overseas? If you are viewing Sky channels, you should be unaffected by the satellite changes. Most Sky channels are using the widen Pan-European beams on Astra 2E, 2F 2G, their channels are encrypted and so there are no copyright issues requiring the use of the tighter UK spotbeam. There are many expats who have legal subscriptions registered to a UK address, there are many British or Irish pubs and bars that have Sky Sports, these are all income for Sky. As for the main terrestrial broadcasters, the BBC, ITV, Channel 4 and Channel 5, these are using the UK spotbeams on Astra 2E, 2F 2G. You may need to upgrade your dish to a larger model or adjust your present one to maximise the signals from the satellites. Astra 2E is fully operational and carrying channels from the BBC, ITV, Channel 4 and Sky on the satellites UK spotbeam. Migration from Astra 2A to Astra 2E Pan European beam has been completed. BBC services were moved from Astra 1N to Astra 2E’s UK spotbeam during the early hours of Thursday, February 6, 2014. ITV and Channel 4 services moved to Astra 2E on Tuesday, February 11, 2014. TV viewers outside the UK and Ireland may not be able to receive channels from Astra 2E’s UK Spot Beam, which has a smaller footprint than Astra 1N and Astra 2D (no longer in service). The footprints on SES’ replacement fleet has been designed to meet the requirements of UK and Irish broadcasters who target their channels for distribution in the UK and/or Ireland. Astra 2F is fully operational and carrying channels from the BBC, ITV, Channel 4, Channel 5 and Sky on the satellites UK spotbeam. Due to the tight footprint, reception issues for UK channels have been reported in some areas of mainland Europe. Overseas viewers may have to upgrade their dish to receive Astra 2F, Astra 2E and Astra 2G are expected to have identical coverage. Reception reports suggest that the UK spotbeam is very tight with a very sharp fall off to the west and east of the footprint. Eastern Spain and areas of Scandinavia seems to be getting a higher signal strength, possibly due to the off-axis beam as 28.2°E on the geostationary arc is not directly in line with the UK but offset to the east. 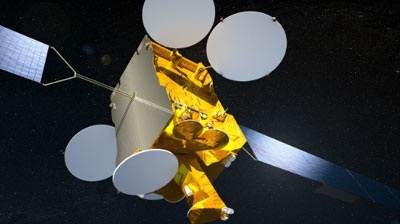 The Astra 2G satellite is fully operational and carrying channels from the BBC, ITV, Channel 4, Channel 5 and Sky on the satellites UK spotbeam. Due to the tight footprint, reception issues for UK channels have been reported in some areas of mainland Europe.